Is anyone here from Poland? I am Polish but living in the Chicagoland area like about 2 million other Polish people. Anyway, my parents have known about Jan Kwasniewski and his diet for years and years (even Polish president Lech Walesa used the diet to get rid of diabetes and lose lots of weight). But my parents mock Kwasniewski and say that the diet is for people who have disabilities or diseases of some sort, not for normal healthy people like us. Of course, they refuse to read his books. I was just wondering if anyone else has had a similar experience...If Polish people are just stubborn/closed-minded sometimes. I have a comment on the original issue that you had. How do you educate an older Polish Audience? My name is Lathe Poland and I just had the subtitles for my documentary film Carb-Loaded: A Culture Dying to Eat (it's about nutrition and diabetes) translated into Polish. I would love to know what you think about it. I'm a new user at PaleoHacks so I can't post links but if you search YouTube for "Carb-Loaded: A Culture Dying to Eat" you'll find it...it's free. Potato pancakes can be very very bad- my family fries them in soybean oil and drowns them in ketchup. But they can be very very good. They just take a long time to make. @sean- watch out for crazy drivers on the "highways"...which are all one lane :D Poland does have a terrible vehicle fatality rate. Usually I try to avoid generalizations...but sometimes my family and Polish friends close themselves to new ideas...it hurts to see them hurt themselves and then refuse any change. golonka! I haven't eaten it in ages, and now I won't as I don't eat pig anymore. oh, well.. I am 1/2 Polish and in the Chicago suburbs. They just closed my awesome Polish grocery store down in Orland Park. I was super sad. I am 1/2 Polish and it the Chicago suburbs. They just closed my awesome Polish grocery store down in Orland Park. I was super sad. Watching this since I'll be cycling through Poland soon. Partially Polish. I find many polish recipes easy to paleotize. Golabki potato pancakes, Pikeperch, goulash, and bigos are all basically paleo as-is. Of course, if anyone can come up with a paleo pierogi I would kiss the ground you walk on. I still eat them twice a year because well, I just love them! yep, a polish gal here :) Out of Poland for over seven years, at the moment in MD. I am just now convincing my Mom to switch to Paleo... there is nothing close-minded about Poles in general, no sense to generalize so much. 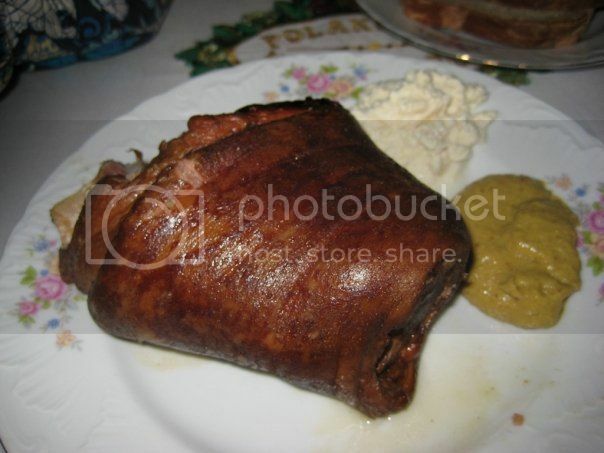 There is a lot of good paleo Polish foods. Bigos for exaple! and variety of fowl, beef or pork meals. and the use of heavy cream? or raw dairy? yum. Hi lpoland. Not Polish myself, but sometimes shops at local Polish grocers (I love sauerkraut). How would you say 'grass fed' in Polish? I tried to find out if their butter was from grass-fed cows, but the shop assistant didn't understand. I guess most English speakers would assume that 'of course' cows eat grass, what else?! Family in this country for 100 years, but definitely of Polish descent. My great-grandfather was a Lancer officer during the November Uprising! Beet kvass is very paleo!